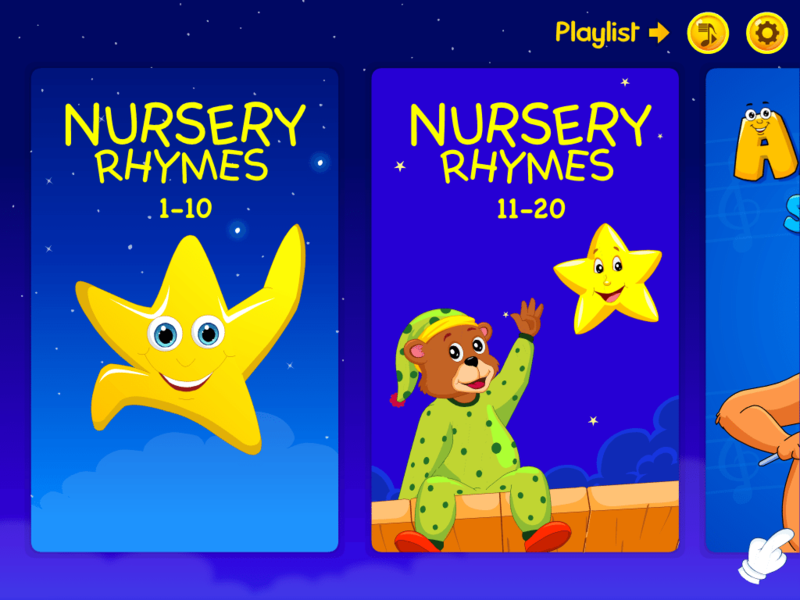 Kidloland is an educational app with over 550 nursery rhymes, songs and games for kids. 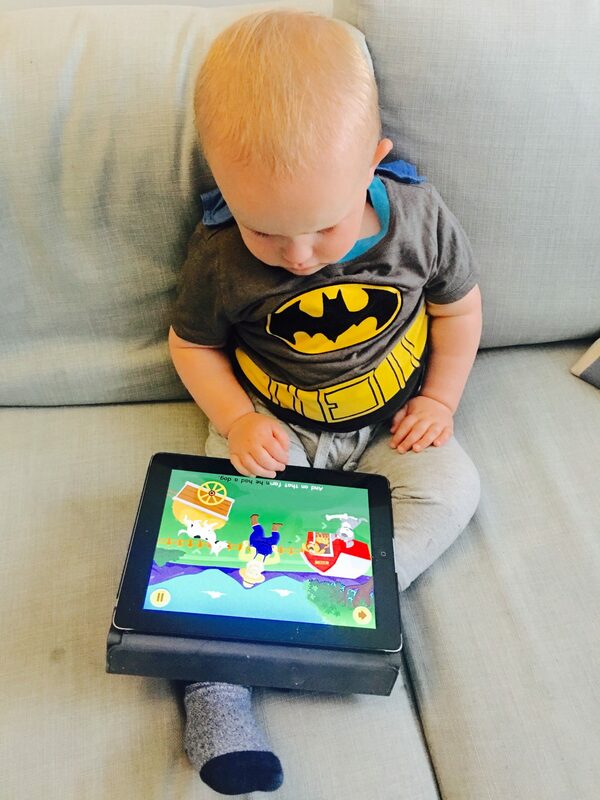 The app is aimed at children aged 0-5 years old and is available on iOS, Google Android and Amazon Android. When we got the opportunity to review the app we jumped at the chance as it sounded like just the kid of app S would love and would encourage him to learn through play. The fab thing about this app is that you can download the various songs, games and activities by selecting them in the menus. This means when you are out and about you don’t need to rely on having phone signal or wifi to connect to. We have the app on both my iPad and iPhone, and as the iPad is wifi only it means that we can have everything loaded onto it before we head out. You can check which downloads are taking up memory on your device within the Downloads menu within Settings, meaning you can clear down your memory if needed. One feature that I find clever and unique is the simple maths question that must be answered in order to open the Settings menu. 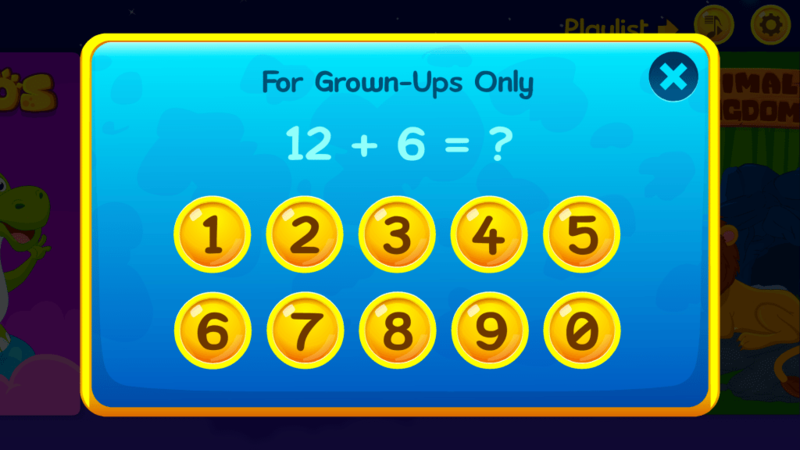 Each time a random sum is generated, this is particularly useful for kids who may have learned to copy a passcode meaning it can keep little hands out the settings! You can also create a playlist of up to 25 songs which you can add your favourites too. 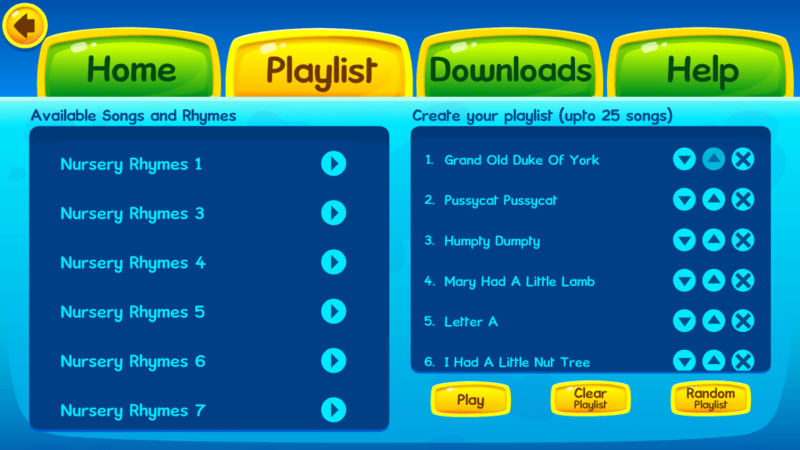 This is especially useful for toddlers like S who can’t quite work out how to use the menus yet, as you can press the playlist button on the main screen and it will work through the list. 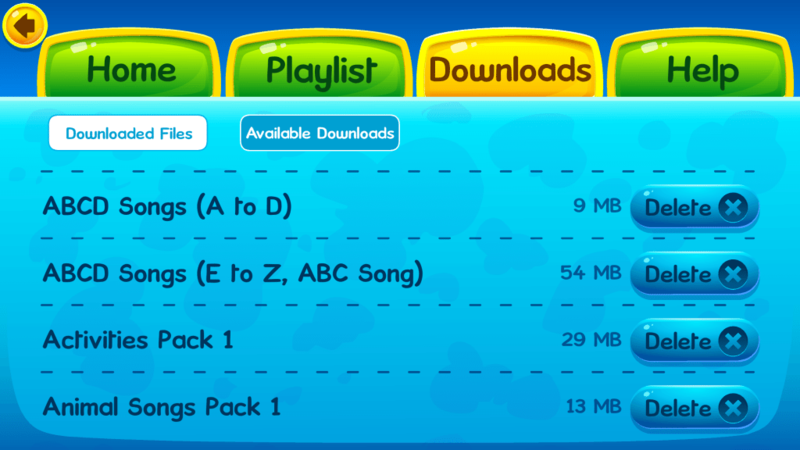 Downloadable songs and games – great for when your out and about! Secure settings area from little hands! One of S’ favourites is Old MacDonald, mainly because of the cats who meow when you press on them as they are currently his favourite animal! I know S will continue to play and learn with this app. With so much choice packed onto one app there is no danger of getting bored and I’m sure there is plenty more for us to discover within it! I know this is fast becoming a family favourite and we will love seeing S’ reactions as he learns and discovers more within the app. 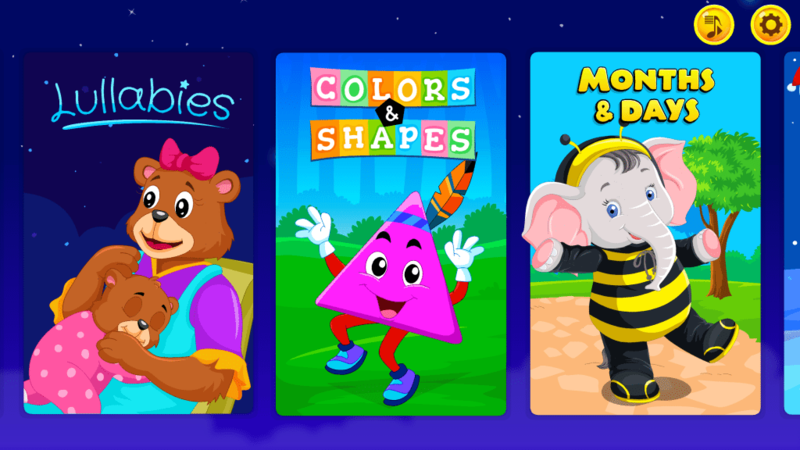 Would you like to try out the Kidloland app? Then enter our competition as 5 lucky winners will each win a 3-month subscription!